Move to Amend holds a rally at the Supreme Court to “Occupy the Courts” and mark the second anniversary of the Citizens United v. FEC Supreme Court case on Friday, Jan. 20. 2012. The Constitution was written here in Philadelphia 231 years ago, but that was the beginning, not the end, of creating the constitutional architecture of American democracy. Nearly half of today's Constitution was not written in 1787 when the Convention finished its work. Only because generation after generation of Americans have used the Constitution's amendment power have we added the Bill of Rights; abolished slavery; guaranteed the right to vote for all citizens, regardless of race, gender, or age over 18; guaranteed due process and equal protection of the law; and much more. Now, amid mounting concerns about the billions of dollars flooding our elections, and the resulting systemic corruption, unequal representation and undue control of policymaking by powerful wealthy interests, a new constitutional amendment is under consideration in Congress and the states. This amendment will empower Americans to regulate money in elections and secure equal representation for all citizens in our republic. The amendment — the 28th Amendment to the Constitution — would nullify Supreme Court decisions, such as Citizens United v. FEC in 2010, that misconstrued the First Amendment's freedom of speech clause as requiring unlimited spending by corporations, unions, and individuals with the financial means to influence elections. The billions of dollars now dominating our politics is not free speech; it is power. Every election in the past eight years has set new records for spending. Most of this money has come from less than 1 percent of Americans. 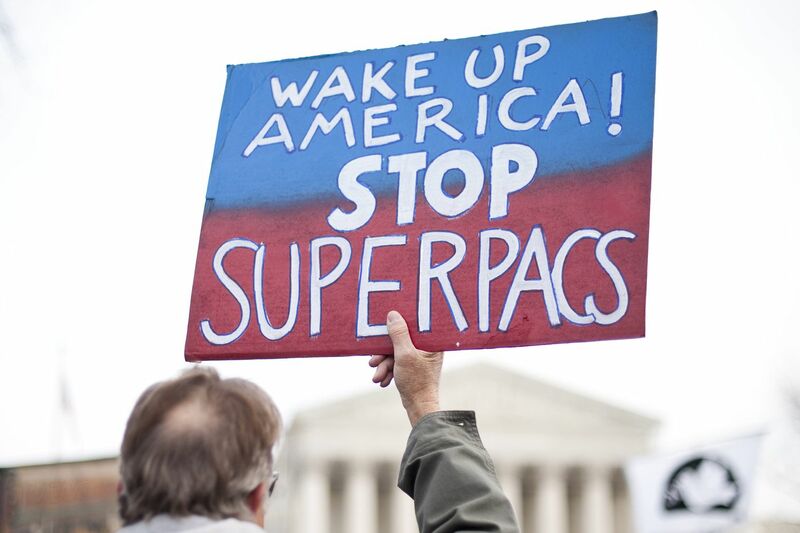 Three billionaires alone spent $200 million in the 2016 election, and just 11 people have plowed $1 billion into super PACs in the past eight years. At the same time, corporations and big unions have invested more than a billion dollars in political races through front groups that conceal their donors — such as the U.S. Chamber of Commerce, the Democratic Governors Association, and the Republican Governors Association. This is not what the First Amendment requires. Our freedoms to speak, petition, worship, and express and hear diverse views with a free press are not the same as corporations and billionaires spending vast amounts of money to buy political outcomes. Laws have regulated how money is used in elections for more than a century. Not until 1976 did the Supreme Court apply the First Amendment to any federal or state election contribution or spending limit, and not until 2010 did the Supreme Court rule that corporations or unions have a free-speech right to use funds to influence the outcome of elections. The results of the court's reckless experiment now are clear: Billions of dollars from the most partisan and self-interested elites drown out the voices of Americans, deprive voters of diverse views and candidates to choose from, block any compromise and action on overdue and urgent needs, and increase alienation and cynicism. A study by the Public Religion Research Institute found that Americans, by a 2-1 ratio, now believe our "vote does not matter because of the influence that wealthy individuals and big corporations have on the electoral process." The theory that unlimited money would somehow make elections more competitive or challenge incumbents' advantage has failed the reality test. Incumbents and party bosses are in the dominant position to demand the money, punish those who don't play, and reward those who can pay for favorable policy. That is why incumbency reelection rates and uncontested legislative races have risen, not declined, in the past decade, according to the Center for Responsive Politics and the Campaign Finance Institute. The proposed amendment would ensure a level playing field and protect our liberty by providing for reasonable and even-handed rules and limits on money from any source. Our election laws will be better able to keep foreign money out of our elections, and keep corporations and unions operating in the economy, rather than using other people's money to run election operations and buy political influence. The 28th Amendment will give all citizens a voice. That's what the Constitution and our republic that began here in Philadelphia are all about. Jeff Clements is president of American Promise, the cross-partisan national organization leading the 28th Amendment campaign. He previously served as assistant attorney general and chief of the Public Protection Bureau in the Massachusetts Attorney General's Office. Jeff Clements will be among the panelists discussing "Should We Amend the Constitution to Authorize Political Spending Limits?" at 6:30 p.m. Monday at the National Constitution Center.